Costochondritis is the medical name for chest wall pain—also called acute inflammation of the costal cartilage, which is located near the sternum. If you are diagnosed with the condition, you will want to get out in front of treating costochondritis. This article will explain the natural costochondritis cure and how to treat costochondritis symptoms. Costal cartilage inflammation causes a sharp pain in the front of the chest wall, which may then spread to the back or abdomen. The breastbone and rib joints also become inflamed and tender. The pain caused by costochondritis may also mimic a heart attack or other heart conditions. The pain will worsen when you cough or take a deep breath; however, the pain decreases when you stop all movement or when you breathe quietly. There is often no apparent cause of costochondritis, although some doctors believe that bacterial or viral infections may trigger this chest pain. Others believe increased activity of the arms also causes costochondritis. Costochondritis can be painful, but is also quite harmless. How long does costochondritis take to heal? It will often go away on its own within a few days or weeks, but sometimes it can take a number of months. There is a costochondritis cure, but the course of treatment will depend on the underlying cause of your pain. There are also many tips for how to treat costochondritis naturally. We will detail the various treatment options, including the best costochondritis diet and some of the better costochondritis treatment natural remedies. The following strategies may help cure costochondritis fast. Rest: It is a good idea to give your body time to heal from costochondritis, since the condition may arise from activities that stretch the muscles and cartilage around the chest wall. That is why rest is one of the top doctor-recommended natural treatments for costochondritis. You will want to rest until you no longer feel the chest wall pain. At that point, you can slowly reintroduce physical activity into your life, which will help you build up stamina and lost muscle. Heat or ice: Heat and ice are both methods for dealing with the chest pain associated with costochondritis. Applying heat to the sore area will help increase blood flow while also relaxing tight muscles. A heating pad or hot compress can be applied several times daily. Applying an ice pack to the sore joint area where the ribs and sternum connect will also help soothe inflammation. After 15 to 20 minutes, remove the ice pack. The application of an ice pack can be repeated up to four times daily. Stretch muscles around the joint: It can be helpful to stretch tightened chest muscles around the joint. You will start by stretching your chest muscles with slow and deep breaths. Next, you will also want to stretch your pectoral muscle by bracing your forearm against a doorway and slowly leaning forward until you feel a stretch from the muscles below and around your shoulders. Yoga postures combined with deep breathing are also a good option. Try the sphinx pose where you lie on your stomach and support yourself on your elbows. Finally, open your chest, and stretch up and backwards. Improve your posture: Posture is very important, especially when you sleep. You will want to avoid sleep positions that put pressure on your painful joints, which include sleeping on your stomach. Standing or sitting with a hunched posture is also likely to aggravate costochondritis and increase discomfort. It can help to practice sitting, standing, or walking with your chest open and your shoulders rolled back. Herbal remedies: There are also a variety of herbal remedies used as natural costochondritis treatments that help reduce pain and inflammation of the affected area. Herbs with both analgesic and anti-inflammatory properties include willow, passionflower, kava kava, gotu kola, goldenrod, ginseng, ginger, fennel, dong quai, devil’s claw, chamomile, celandine, and arnica. Let’s take a quick look at the anti-inflammatory and analgesic abilities of topical arnica. A study published in the journal Rheumatology International in 2007 found that topical arnica was as effective as the non-steroidal anti-inflammatory drug (NSAID) ibuprofen. NSAIDs: Non-steroidal anti-inflammatory drugs (NSAIDs) like naproxen sodium (“Aleve”) or ibuprofen (“Motrin IB”) are available over the counter. At the same time, your doctor may prescribe stronger varieties of NSAIDs. Keep in mind that possible side effects of NSAIDs include stomach, liver, or kidney problems. Narcotics: For severe pain, drugs that contain codeine may be prescribed, including oxycodone (“Tylox” or “Roxicet”) or hydrocodone (“Norco” or “Vicodin”). The downside here is that narcotics like these may be addictive. Antidepressants: Doctors often use tricyclic antidepressants like amitriptyline to control chronic pain. Anti-seizure drugs: The epilepsy drug “Neurontin” (gabapentin) is also considered effective in the treatment of chronic pain. If everything tried fails, your doctor may inject you with corticosteroids or recommend a procedure called transcutaneous electrical nerve stimulation (TENS). This is where a device sends a weak electrical current to the area of pain with adhesive patches that are placed on the skin. The current is thought to mask or interrupt pain signals from reaching your brain. If those also don’t work, sometimes surgery is necessary to remove or repair damaged cartilage, especially when damage results from an infection. Outcomes are considered very good when combined with antibiotics. Yearly check-ups are then essential to make sure the joint remains healthy. What else may work as a strong costochondritis cure? This section on the costochondritis diet will help you understand what you should eat and which foods are best to avoid. In general, an anti-inflammatory diet can help transform your health while reducing both pain and inflammation in problems such as costochondritis. This type of diet is full of foods that contain antioxidants, vitamins, minerals, and essential fatty acids. Also, consume plenty of filtered water, smoothies, and freshly squeezed vegetable and fruit juices. On the other hand, an anti-inflammatory costochondritis diet excludes a number of pro-inflammatory foods and substances. For instance, be sure to stay away from refined grains, refined sugars, and processed foods, especially packaged snacks, breads, baked goods, and soda. Dairy and gluten-containing foods are also thought to cause inflammation. Alternatively, consider dairy-free products like coconut, rice, or almond milks, and gluten-free products that contain rice or quinoa. Also, avoid stimulants like alcohol and caffeine, which are known to worsen inflammation. Costochondritis is medical jargon for acute inflammation of the costal cartilage. Although sometimes the problem can disappear on its own, other times, it can linger for weeks and even months. That is why it is important to understand many of the natural costochondritis cure remedies mentioned in this article. Some of the better home remedies include rest, a heat or cold compress, stretches and exercises, improving your posture, and herbal remedies like arnica. The anti-inflammatory costochondritis diet might also help you heal your pain and inflammation in both the short-term and long-term. If none of these options work, consult your doctor. They may be able to recommend further treatment such as surgery. 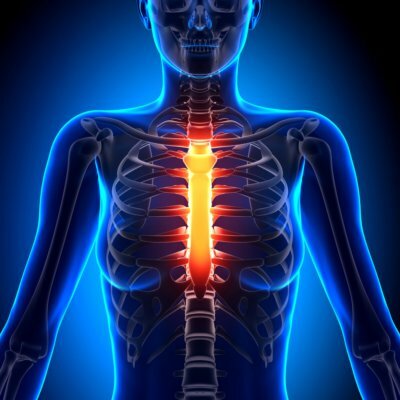 “Costochondritis Treatments and Remedies,” Healthy Diet Base, Feb. 27, 2015; http://www.healthydietbase.com/costochondritis-treatments-and-remedies/, last accessed Oct. 31, 2017. “Costochondritis,” Wake Forest; http://bch.wakehealth.edu/KidsHealth/Teens/Diseases-and-Conditions/Bones-Muscles-and-Joints/Costochondritis.htm, last accessed Oct. 31, 2017. “wikiHow to Treat Costochondritis,” wikiHow; https://www.wikihow.com/Treat-Costochondritis, last accessed Oct. 31, 2017.